Colorado’s population is booming. From April 1, 2010 to July 1, 2016, the U.S. Census Bureau reported that Colorado was the fourth fastest growing state in the United States. (North Dakota, Texas and Utah were numbers one, two and three.) TDS’ cable community of Johnstown is in the top 10 for the fastest-growing municipalities in Colorado. In seven years, the next-door neighboring communities of Johnstown and Milliken have grown by more than 5,000 people, with their populations today hovering around 20,000. New housing projects are developing quickly in these small towns. Despite the increase in numbers, Johnstown and Milliken have managed to retain their small town charm and appeal. Johnstown and Milliken are located in northern Colorado on the Front Range of the Rockies. They are about 25 miles south of the Wyoming border and 45 miles north of Denver. Parish Avenue is the heart of the downtown Johnstown. It’s a place where visitors can slip into the local bar or restaurant or just wander quiet streets. The Historic Parish House and Museum on Charlotte Street is the original Arts and Crafts-style home of Johnstown’s founders, Harvey and Mary Parish. The town was named after their youngest son John and was founded in 1902. 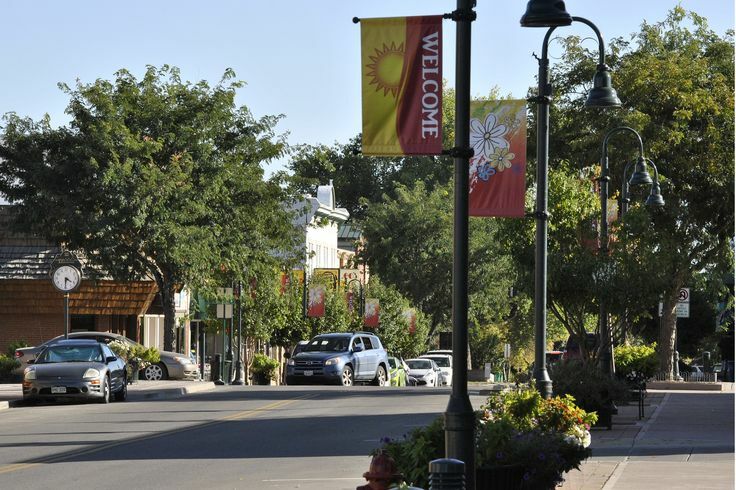 Today, it’s ranked as the safest city in Colorado. In its early days, Johnstown and Milliken grew quickly when the railroad came through. Milliken was named for John D. Milliken, a railroad official. Johnstown benefited from the Mohawk (later Carnation) Condensed Milk Co. and the Great Western Sugar Company’s barium sugar plant, which was the only one of its kind in the world. It also prospered because of the rich, irrigated farmland and dairies in one of the most fertile areas in the United States. Notable local is NFL player Reed Doughty. Raised in Johnstown, Reed played varsity football at the local high school and eight seasons with the Washington Redskins. TDS to exhibit at Johnstown BBQ Day, June 3 BBQ Day, a Johnstown community tradition, kicks off Saturday, June 3. TDS will participate in the morning parade and have a booth at Parish Park for the celebration, which includes food, games, a craft fair and fireworks. The idea of a local celebration started in 1912 with Dairy Day to promote the dairy industry. Farmers came to Johnstown to show cattle and see the exhibits. The Great Depression and World War II created a lapse in local festivities. Residents revived the day for a few years, but 1951 was the last year for Dairy Day. In 1963, area businessmen came up with Crazy Day to attract more people to shop in Johnstown. Merchants and employees dressed up in “crazy clothes” and held sidewalk sales. In 1968, a roasted pig was served free to the customers at Hays Market. The next year, the barbecued pork proved to be the start of Barbecue Day. If you’re in the area, plan to stop by BBQ Day on June 3.